For a number of years now, we have covered Kensington and Chelsea’s push to have a Crossrail station approved. The campaign arguably began in earnest back in 2008, when the Borough began to work towards the redevelopment of the Kensal Gasworks site. Their proposal argued that the turnback facilities planned for Crossrail just west of Paddington should be turned into a full Kensal Crossrail Station, providing a connection to the line in the area. From the beginning it was clear that the Borough would find little proactive support within Crossrail itself, or from the scheme’s sponsors. The Council’s own initial feasibility study indicated that the Benefit to Cost Ratio (BCR) would likely be weak, Crossrail themselves had larger battles to fight and from the sponsor’s perspective (TfL and the DfT) there was no money to spare anyway. Nonetheless, the Council continued to press their case. 3) it should not degrade the performance of Crossrail or other rail services. These were always going to be hard criteria to meet, but undeterred in 2010 the Council authorised expenditure of £55,000 on a report into the scheme, in the hope of demonstrating that Crossrail Kensal could indeed meet all three of these criteria. In March 2011 this report was finally published, and we covered it in some detail at the time. Unfortunately, rather than cementing a case for the station, it confirmed that the BCR for the station was indeed very weak – 1.1, in comparison to the 1.81 ratio of Crossrail itself. Perhaps more fatally, it also highlighted that adding the station to the service pattern would indeed carry a risk of performance degradation. In an effort to counterbalance the underwhelming nature of the report, the Council finally offered to underwrite the cost of station construction (estimated at about £33m), as removing this from the calculations would improve the BCR. Realistically though, the writing was already almost certainly on the wall – both thanks to the lack of overwhelming evidence to support the scheme in the report, and for a number of other reasons covered in more detail below. Officially, Crossrail – and more importantly TfL and the DfT as project sponsors – promised to provide a final answer on the station in May of 2011. Yet by the end of May no answer had been forthcoming. Instead, since then, a rather strange period of decision limbo seems to have existed. 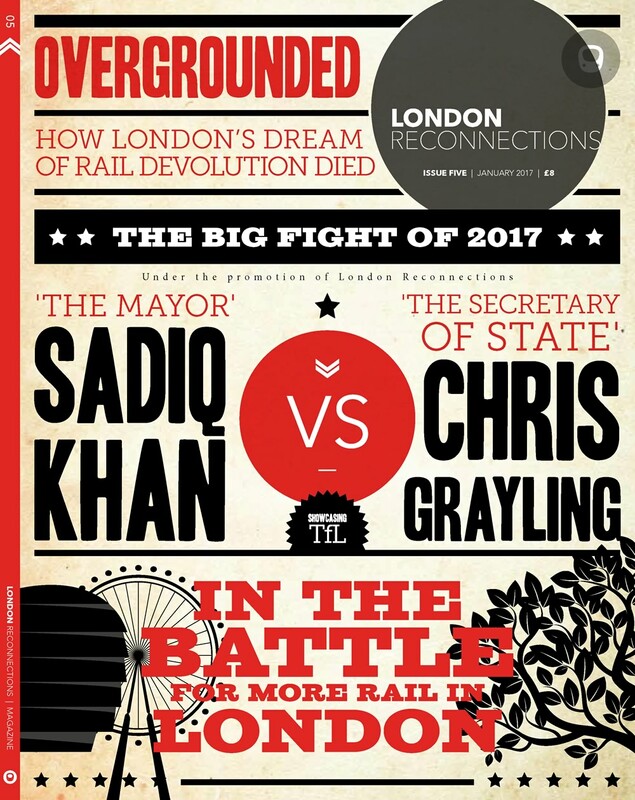 The Council have continued to vocally argue – both in the council chamber and the press – that the station was still on the cards, whilst in practical (if not official) terms Crossrail, and the plans and works associated with the turnback, have long since proceeded on the basis that it wouldn’t. Indeed enquiring about Kensal Crossrail had, over the years, become something close to a japanese tea ceremony here at LR Towers. Every couple of months we would politely ask Crossrail if a decision had officially been made yet. Crossrail, in turn, would politely reply that it was a decision for the project sponsors – TfL and the Dft – not themselves. Said sponsors would then politely indicate that a decision was due imminently, normally in the following month. No decision would appear, and thus the ceremony would begin anew. All in all it seemed from the outside, perhaps uncharitably, that a decision had long since been made, but that straws had yet to be drawn on who would break the news to Kensington and Chelsea. Finally, however, it appears that this long saga has come to an end. Last month Sir Merrick Cockell, leader of Kensington and Chelsea Council met with Transport Minister Stephen Hammond and with Sir Malcolm Rifkind MP to discuss the station. During the course of the meeting they confirmed that the station had neither the backing of the DfT, nor of the Mayor of London. This was confirmed in an email, sent by Sir Merrick to colleagues and supporters, which is reprinted in full below. So just why did Kensal Crossrail ultimately not come to pass? Sir Merrick claims in his letter that “reasons for that lack of support [from the DfT and Mayor] remain frustratingly unclear.” but in truth, as the background information at the head of this article highlights, the reasons are arguably anything but opaque. At the time when the station could have been included in the core Crossrail scheme (and most importantly within the original funding package) the BCR for the station just wasn’t strong enough. From the time that 2008 Crossrail Act was passed time was most definitely not on the Borough’s side, and the Mayor’s criteria in 2009 should have highlighted that only a substantial change in the Borough’s approach was likely to result in a positive outcome for the station. It is possible that an early promise of financial backing, at this point, may have considerably aided the Borough’s cause, but by the time the Borough’s own report had been published in March 2011 it was almost certainly too late for even this to sway sponsor backing to their cause. Not only did their own report fail to make a strong case for the station itself, but by the time it was published the situation on the ground had changed. As we highlighted at the time, by 2011 Crossrail had passed through, and survived, its own spending review, but in order to do so it had been forced to make savings in a number of areas. One of those areas related to its rolling stock order, with Crossrail forced to reduce its planned number of trains to the absolute minimum number required to meet the train frequencies and reliability to which the scheme had committed. The Council’s own report had highlighted that it would be difficult to include the station into the service pattern without disruption even with the original planned fleet size. With one or more trains now removed from the fleet, this now became effectively impossible. Moving beyond Crossrail itself, by 2011 it had also become clear, from a wider perspective, that if there were to be a Crossrail station in the Kensal area then the Gasworks site was not the best site for it anyway. With developments proceeding swiftly up the road at Old Oak Common, and plans for HS2 beginning to come more to the fore, it became increasingly clear that a “super-hub” of some kind at Old Oak Common would be a far more beneficial option on a number of levels if money could be found, and this remains the case today. If there is any surprise at all to be found in this decision, it is thus really only that it took this long to officially come to pass. Whilst TfL and the DfT should be criticised for failing to make an official decision for this long (having already ensured that the passage of time had effectively scuppered any remaining chance of plans proceeding), Kensington and Chelsea arguably deserve more criticism for not so much missing the writing on the wall as closing their eyes each day as they walked past it. Their reasons for doing so aren’t entirely clear, but the proposal had long formed a point of contention between the incumbent Conservate majority on the Council and the Labour opposition, so it may well be the case that political, rather than practical, points were a key force behind its continued promotion. So with Kensal Crossrail now finally put to bed it can perhaps be hoped that attention will turn not just to Old Oak Common, but also to other transport improvements that might benefit a Borough that, despite its upmarket public image, actually contains some of London poorest areas. In that regard, it is heartening to see Sir Merrick’s letter mention that both the DfT and the Mayor may look more positively on future local transport suggestions. There is, however, perhaps an element of warning to be found within there as well. For as Kensal Crossrail showed, it is dangerous to become overly fixated on highly public, and perhaps politically appealing, solutions to transport problems at the cost of more practical schemes.